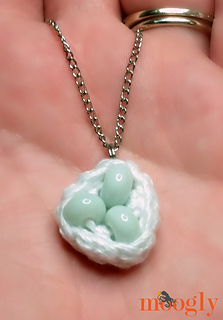 I’ve seen the handmade wire and bead bird’s nest necklaces - but I wanted to do one in crochet! With 3 of these lovely beads, to represent my own little birdies, who’ve flown off to school once again. The free Bird’s Nest Necklace Pendant is the perfect quick make on a quiet afternoon!